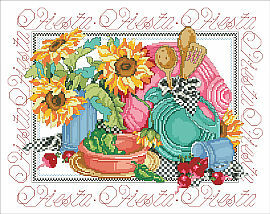 Classic Fiesta, America’s favorite dinnerware introduced in 1936 is still a collector favorite. 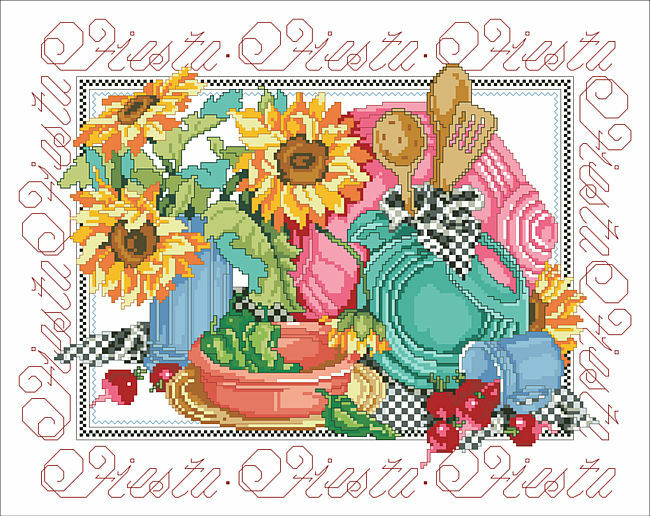 It is still being produced today and the art deco style china pattern is depicted in this vibrant and charming picture with the addition of sunflowers, peppers and checkered linen. This design will look great in the kitchen and has a south of the border feel. It’s Fiesta time! Contents: Stitch Count: 192w X 150h. Finished size:14-count, 13-3/4" X 10-3/4"